The roundup of the day includes reactions of two riders in the aftermath of the second individual time trial of the Vuelta a España and contract extensions at Astana and BMC Racing team. 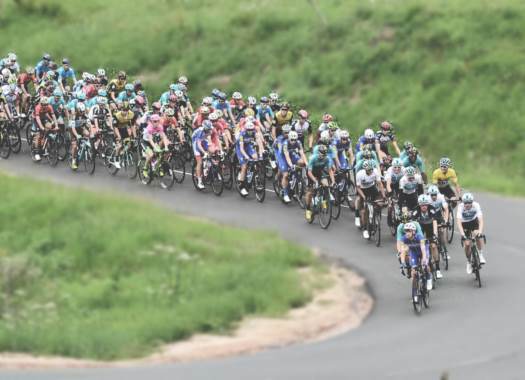 The Dutch rider of Sunweb hasn't come back to his shape after recovering from a broken collarbone that had some complications, which left him out of the selection for the Tour de France selection. But despite being out of the GC competition at the Vuelta a España, he will have new goals for the rest of the race. "Maybe it is a little bit empty and now it just goes downhill with me," said a clearly upset Kelderman to Dutch broadcaster NOS after the individual time trial of the 16th stage. "It's a shame. I've trained very hard and I was even better, but you also have to see where I am coming from. It has just been a difficult period. When I consider how I was sitting on the couch a few months ago, I can be proud that I am here. "There are still some nice stages coming. We'll see. I always want to go for the highest possible level but I have to realise that I am just a human being." The Colombian rider dropped one position in the GC standings of the race and sits now at one minute and 15 seconds from Simon Yates. But the rider doesn't lose the hope on taking back time at the next stages. "I think we defended ourselves well and rode at a decent pace, considering our characteristics. We already knew we were going to lose time, but I think we did fine. We’ll just have to carry on and try to make this gap up in the next few days. There’s three decisive mountain stages coming up now, Balcón de Bizkaia should be key. All the energy we squeezed out of our legs today could be a crucial factor on tomorrow’s developments." The Kazakh rider will stay at the team for at least one more season as he signed a new contract for 2019. "I am very happy to extend my contract for another year. I passed this season not in the way I’d like to do it due some health problems. "Now, everything is going well, so, I hope the upcoming season will be much better. My main goal is the team’s success and I am ready to give my all to help Astana to reach the biggest results. Surely, I’d like to find a few races, which could suit me, to try to fight for a personal result too." The Spanish rider winner of Vuelta a España and Giro d'Italia stages has extended his contract with the team currently known as BMC. "I feel really good in the team. It was really important for me to continue with the team because this year I continued to enjoy my time on the bike, in training and races. "I am happy here so it was an easy decision to re-sign with Continuum Sports. I was part of the team in the fantastic spring classics season in 2017 and although it's really difficult to repeat this kind of success, this is the ambition and goal for me to be there again to support Greg Van Avermaet and the team in the best races of the season."